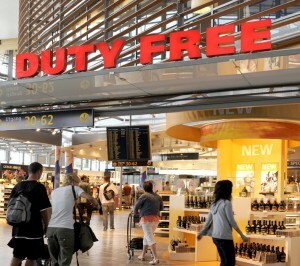 Duty free sales of tobacco products at Norwegian airports will go up in smoke, if the country’s cancer association (Kreftforeningen) and medical association (Den norske legeforeningen) get their way. They’re calling for a halt to sales of relatively cheap cigarettes, for example, when Norwegians travel abroad. Norwegian authorities have long imposed punitive taxes on tobacco, partly because it’s considered a luxury item along with cosmetics and alcohol but mostly for health reasons. A single pack of 20 cigarettes now costs around NOK 90 (USD 16) in a Norwegian shop, with the vast majority of the price consisting of tax. Norwegians traveling in and out of Norway, however, can still buy duty-free tobacco products at international airports and on board ships, where a pack of cigarettes costs around NOK 30 (USD 5). Some Norwegians are known to travel on the ferry between Sandefjord in Norway and Strömstad in Sweden, for example, or to buy cheap tickets on board the ferries to Denmark, with the main purpose of buying duty-free goods, and having some fun along the way. Now the head of the medical association, Geir Riise, is calling for removal of the so-called “quota” that allows Norwegians to bring a certain amount of tobacco into Norway duty-free. Norway’s health ministry is currently considering new measures to further discourage smoking among youngsters, and is in the process of collecting public comment.